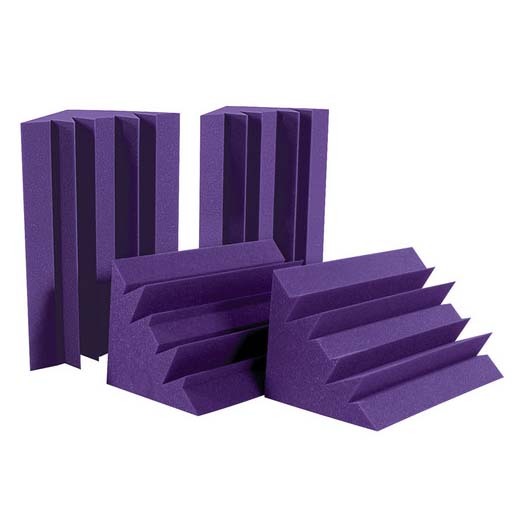 More on the Auralex Acoustics Studiofoam Standard LENRD Bass Traps (Purple Pack of 8) LENPUR below. LENRD stands for Low-End Node Reduction Device. As you may know, a resonance bump in a room's frequency response is called a room node. 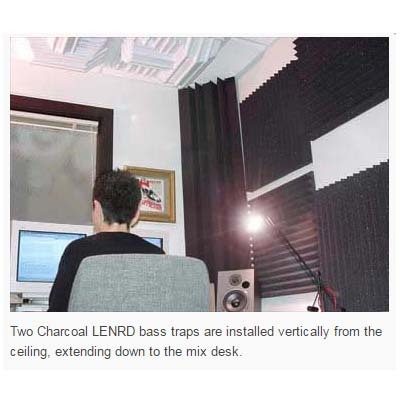 Now, thanks to LENRD bass traps, you can achieve the low frequency sound control other companies can't give you. Bass traps substantial enough to control nodes have always been expensive to buy or intricate and time-consuming to build, but not anymore! 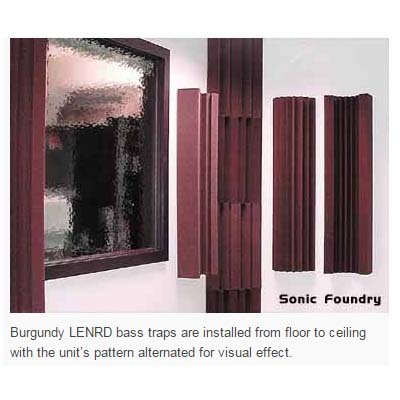 LENRD Bass Traps are extremely effective at smoothing out low frequency room nodes at a price that anybody can afford. 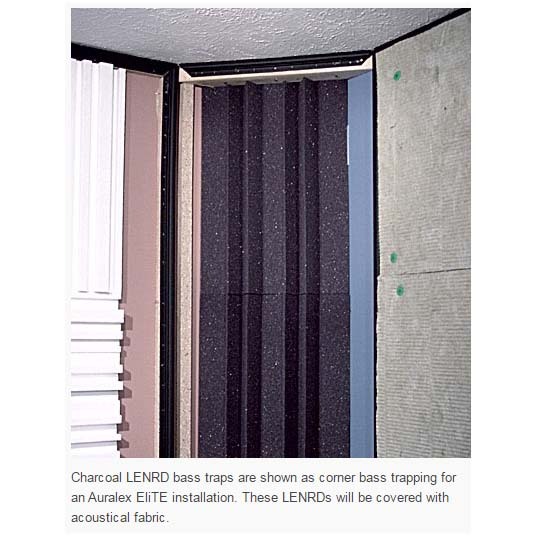 Studiofoam® Bass Traps are lightweight and easy to install using Auralex EZ-Stick Pro peel and stick tabs, Tubetak Pro or Foamtak adhesives. Eight 2 foot long panels. Auralex's proprietary melamine-free Studiofoam formula is long-lasting and wont deteriorate or crumble with age. 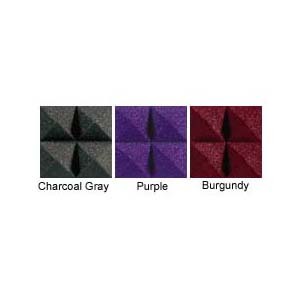 These bass traps are also available in a pack of 4, as well as in your choice of colors: charcoal, burgundy, or purple to match any studio decor. See related products below. This product is also available in a MegaLENRD model, which is twice the length and width of standard models. See realted products below.